Michael Conway: Whether Trump obstructed justice isn't the attorney general's call to make. It's Congress' decision. Michael Conway Whether Trump obstructed justice isn't the attorney general's call to make. It's Congress' decision. The Mueller report didn't draw a conclusion about any obstruction of justice. Barr needs to show the evidence on which he based his decision. Attorney General William Barr’s four-page summary of the “principal conclusions” of Special Counsel Robert Mueller’ still-secret report, released on Sunday, engages in sleight-of-hand when finding that President Donald Trump did not engage in criminal obstruction of justice. Mueller made no such conclusion. Rather, Trump’s hand-picked attorney general, William Barr, in consultation with Deputy Attorney General Rod Rosenstein, decided that the evidence found by Mueller was insufficient to convict Trump beyond a reasonable doubt in a criminal trial. Mueller apparently adhered to the principle of seeking “just the facts.” And facts matter: Neither Congress nor the public know the facts found by Mueller regarding obstruction of justice. A White House that famously promulgated a theory of “alternative facts” will find that the actual facts found by Mueller’s investigation matter. Indeed, Barr’s letter acknowledges that Mueller “describe[d] the facts of his obstruction investigation without reaching any conclusion.” Thus, the validity of Barr’s conclusion that Trump should not be indicted for obstruction of justice can only be tested if the full Mueller report is made public. The House of Representatives could well reach a different conclusion based upon those facts in deciding whether Trump should be impeached for obstruction of justice. The impeachment inquiry of President Richard Nixon adhered to the approach of investigating the facts and then allowing Congress to draw its own conclusions. A 410-4 vote by the House of Representatives in February 1974 authorizing the House Judiciary Committee to “investigate fully and completely whether sufficient grounds” existed to impeach President Nixon, after which an impeachment inquiry staff of the committee, on which I served, set to work. Under the leadership of John Doar, a distinguished former assistant attorney general in the Civil Rights Division in the 1960s, the inquiry staff provided 650 “statements of information” with 7,200 pages of supporting evidentiary material to the committee members in closed sessions. In its final report following the adoption of three articles of impeachment against President Nixon, the Judiciary Committee emphasized that these 36 volumes of statements of information were strictly factual. “A deliberate and scrupulous abstention from conclusions, even by implication, was observed,” it wrote. Although recitation of the facts was spare and unvarnished, the cumulative effect on the members of the committee convinced 27 of 38 of them to vote that Nixon had committed obstruction of justice, and 28 to vote that he had abused his power. Their measurement for impeachment was not the criminal standard cited in Barr’s letter of “guilty beyond a reasonable doubt.” Rather, the committee members concluded — after serious deliberation and reflection — that President Nixon had committed high crimes and misdemeanors warranting his impeachment. The Mueller report’s apparent similarity to the 1974 statements of information is striking: He developed and organized the facts, as the impeachment inquiry staff did, leaving it to decision-makers to reach their conclusions. But that Barr has unsurprisingly reached one conclusion does not foreclose Congress from reaching the opposite conclusion. Whether Congress will have that opportunity depends entirely on whether Mueller’s report and the evidence underlying it will be made available to the House of Representatives. Barr already is signaling that he plans to invoke a barricade to full disclosure: His letter devotes most of a page to the restrictions imposed on the disclosure of grand jury materials prescribed by Rule 6(e) of the Federal Rules of Criminal Procedure. And, in truth, much of the evidence gathered by Mueller from 2,800 subpoenas, 500 search warrants and witness testimony could be designated as grand jury materials that Barr might seek to withhold from both Congress and the public. But Judge John Sirica’s order in March 1974 allowing the Watergate grand jury to submit a report and evidence to the House Judiciary Committee establishes a precedent for the full release of Mueller’s report. In that case, the Judiciary Committee asked the district court overseeing the Watergate grand jury to authorize Congress to receive the grand jury report and related evidence. Taking this cue, the 2019 House of Representatives would be well served to direct the Judiciary Committee to begin an impeachment inquiry. The special constitutional obligation of Congress to conduct impeachment provides the strongest argument for the courts to order the release of the full Mueller report, if Barr balks at doing so. Importantly, the Founders believed that the impeachment power of Congress should be readily available if the president engages in acts — even if they are not criminal acts — that undermine the separation of powers or constitute a presidential abuse of power. 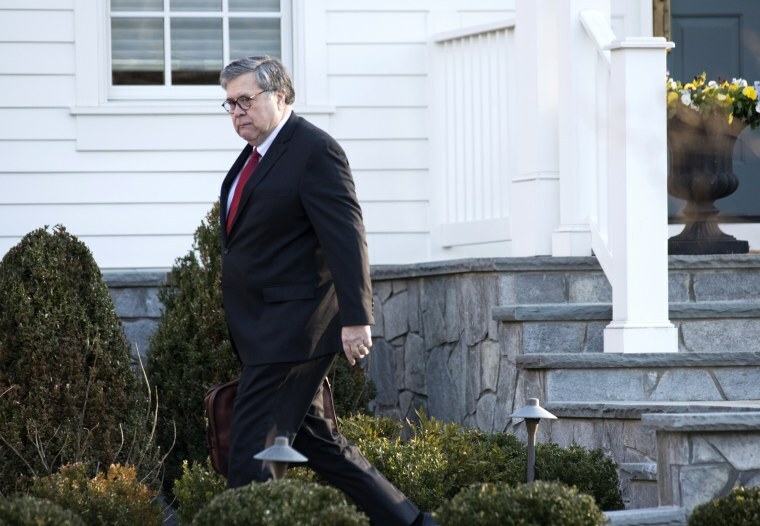 Even leaving aside the investigations of federal and state prosecutors in New York and elsewhere, President Trump is premature in claiming his exoneration by Barr’s letter. Congress, the public and history are entitled to decide if Mueller’s recitation of facts warrants the indictment or impeachment of President Trump for obstruction of justice.